Summary: Which animal’s poop can be a foot high? Whose has splinters in it? Is that bundle of fur and bones a poop? A question is posed on one page, with a picture of the waste material in question, then the answer is given next, showing the animal who produced it. Seven animals are profiled, including the extinct ground sloth, which introduces the concept of fossilized poop. Two pages at the end give additional facts about poops and the animals who make them. 32 pages; ages 3-7. 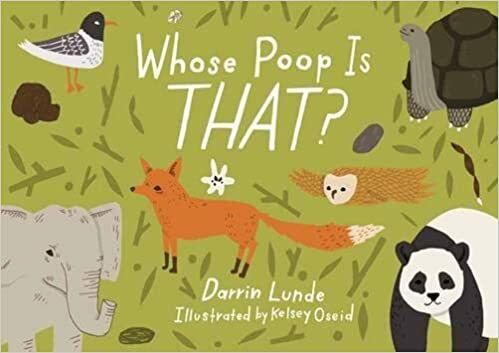 Pros: After kids pick themselves up off the floor after splitting their sides over the fact that the word “poop” is in the title of this book, they will actually find out how waste can be used to learn something about animals. The question-and-answer format makes this a good interactive read-aloud. Cons: My Google images search for “Whose poop is that?” had some interesting results.